I'm working on a complete living room design for a client in Newport Beach. They moved from a craftsman style home to their current home which is really modern. This meant we got to start from scratch...my favorite! 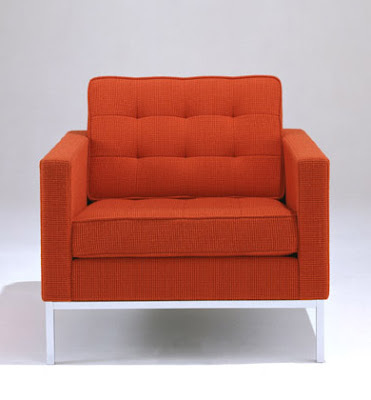 We needed a pair of chairs so I showed my clients a photo of this Florence Knoll Lounge chair. 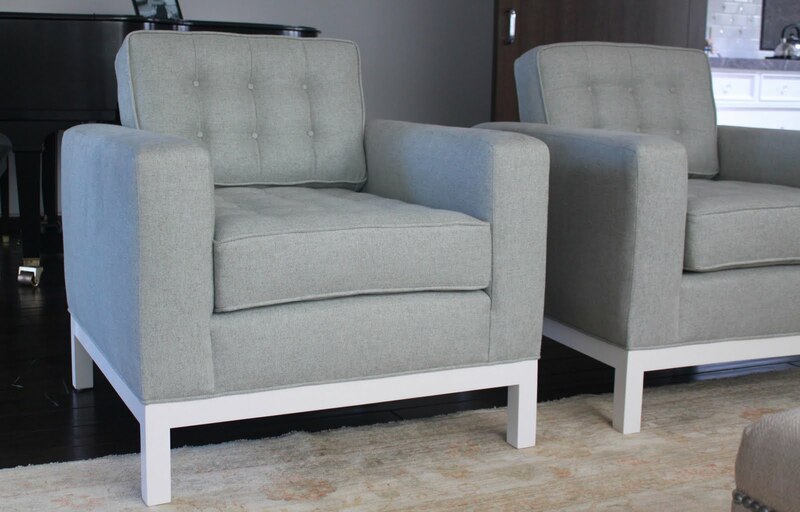 They really liked the style and the classic modern design, so we had a few options; go vintage and reupholster in a fabric of our choice, order the chairs from Knoll and wait 10-16 weeks, or do our own take on this classic design, wait just 4 weeks, and go custom. After I lost the eBay auction on the vintage option, we decided to go custom.